Graduation season is in full swing. We’ve all seen countless pictures of graduates getting those last few moments with friends whom they have spent the previous four (or five, six, or seven) years with on their college campus. 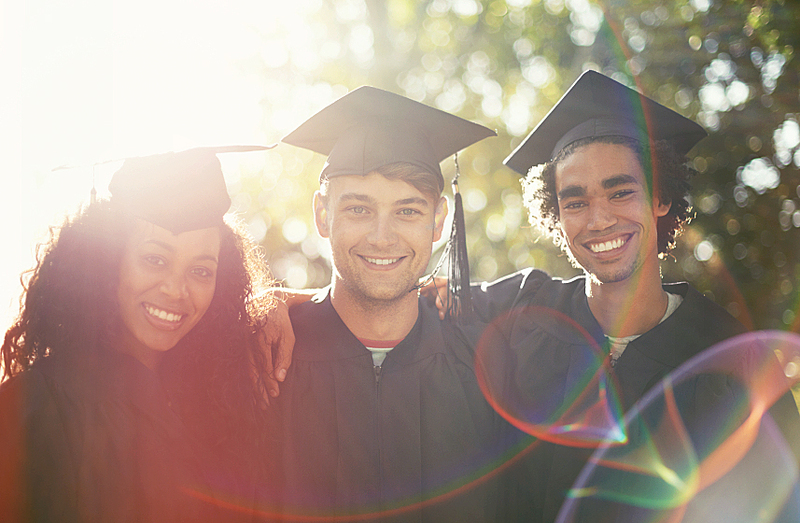 Families are having graduation parties to honor one of the most significant accomplishments their young adult has had in their lives up to that point. It’s time to celebrate! So, what kind of gift do we give to these college graduates that we love so much? There are only so many copies of Oh, the Places You’ll Go that will realistically fit on a shelf. And those Starbucks gift cards will be gone within a week. As a young adult ministry leader, consider giving a gift that will make a lasting difference. One of the most precious gifts you could ever give a young adult in this new season of their life is TIME. Many recent graduates will be looking for jobs, making a move, and grieving the “good ole days” of being in college. Take time to invite a few of these young adults into your home for dinner with your family and begin a new part of their journey with them. When young adults know that you genuinely care for them beyond simply showing up for a Sunday morning Bible study, they’ll value the long-term investment you’re making in their life. Paul tells us in Philippians 2:4 “Everyone should look out not only for his own interests, but also for the interests of others.” This is a pivotal time to speak wisdom, truth and encouragement into their lives! Give them the love of the church. For many young adults, they’ll be stepping into a season where, for the first time, there is not a specific church ministry geared just for them. From the time they were in the nursery until they were involved with a college ministry, there had always been something labeled for their stage of life. They need to see in you a genuine love for the body of Christ. The gifts and talents that young adults bring to the church are encouraging, but they need to see how they can contribute to the church in a way that will make a difference. Paul reminds Christ-followers in 1 Corinthians 12:27 “Now you are the body of Christ, and individual members of it.” Love the church and model that love to the young adults within your sphere of influence. They need to see others who genuinely love the Bride of Christ. Give them a love of the Scriptures. I’ll never forget the people in my life who have deeply loved the Word of God. It showed through every aspect of their lives. Young adults need to see other adults who deeply love Scripture and demonstrate how God’s Word intersects our daily decisions, struggles at work, family, and relationships. In order for us to give them a love of the Scriptures, we must truly be in love with the Scriptures ourselves! Colossians 3:16 says “Let the message about the Messiah dwell richly among you, teaching and admonishing one another in all wisdom, and singing psalms, hymns, and spiritual songs, with gratitude in your hearts to God.” As you teach in your small group of young adults, is it obvious that you love the Word of God and desire to see them also fall in love with the Word? What a gift we can give young adults! Give them forgiveness and grace. As you spend time with them, you’ll likely be given the opportunity to show them forgiveness and grace when they find themselves in the middle of sin or messed up situations. For many young adults, they really don’t know what it looks like to have someone in their lives to show them grace, but also point them toward truth in the same steps. Be a frequent giver of truth and forgiveness in their lives as they strive to be fully devoted followers of Jesus. For those newly affirmed college graduates, you can either give them something that will be put on a shelf soon to be forgotten or something that will last a lifetime. Consider a gift of your genuine love for them and desire for them to grow deep in love with Jesus!